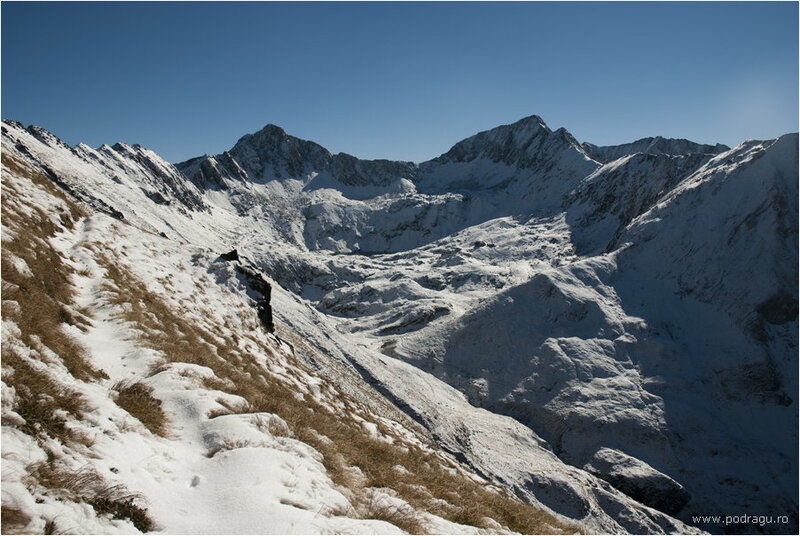 Situated in the central part of the Fagaras Mountains, the towers-Podragu is one of the most visited areas of the massive mountain. It is visited by tourists who go through the ridge route, or those who climb here to enjoy the beauty of the area. 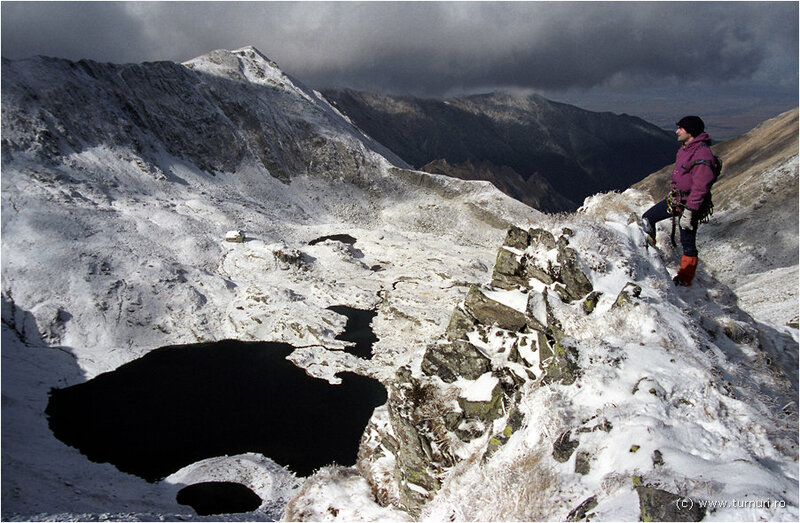 Access is from Victoria town, the trail leg or edge Arpasului Valley bran. For more details about these routes please see page “Trails”. Want to spend an active holiday at Chalet Podragu in summer? Read how it was for Daniel in the summer of 2007, and then contact an on Corina. Corinei phone is +40745319766, but in summer you can contact only one SMS sent to this number. For further details regarding accommodation you can call Dan Podragu Opris, 0740041766, which is in Sibiu, but who speaks at least once every 2 days with Corina. Podragu cabin is situated in the Fagaras Mountains cabin in the high altitude, 2136 m, on a glacial valley, the valley Podragului which branch of Arpaşul Great Valley, is bordered to the east and west edge of edge Tarita Piscul Podragului. 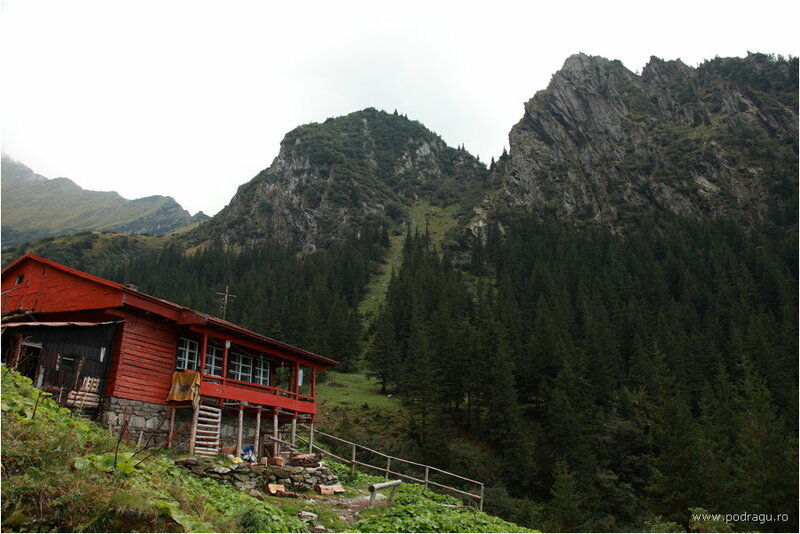 Downstream of the cabin Podragu still find a cottage, chalet towers, located on the same valley at 1520 m altitude. Access to the two huts is on forest road and trail foot on the path not presented in summer hardships and recommended during the winter access only area for tourists or experienced climbers. Transport food, fuel, wood, and of almost everything that is needed to huts, is called donkeys moke with animals, or backpack. Because of this Podragu cabin is closed during winter, but they can find near an annex that can be used as a refuge in good condition. That, of course if those who have been there before you are left clean and the door closed, not to be full of snow inside. From time to time to read May find some “curious” that the winter break the windows of the cottage to penetrate inside, and then again to be repaired windows, which at 2136 m altitude is not so easy, as not “grow “Glass for the windows on the lake. Cabana towers, located at 1500 m altitude or 1 ½ hours downstream of Podragu is open throughout the year. It is located in a circus main Podragului on a porch of rocks in western great lake. The chalet is made up of a main body and an appendix. The main building with ground floor and first floor, is built of stone wall. The ground floor bedrooms, dining room, kitchen and toilets. Floor has three bedrooms cabanierului room and toilets. Guest House has running water in kitchen and bathrooms. – Cottage has electric installation, having an own Generator, voltage 220V. -In 1885, Transylvanian Carpathian Society (SKV) in Sibiu, built in Lake Podragu a stone shelter, which did not last long, but was ruined. -In the years 1937-1939 Turing Romanian club took the decision to build a tourist cottages at Lake Podragu purpose that has leased the land necessary for the inhabitants of Upper Ucea, drew up plans and executed cabin in Talmaciu, following the then be transported in pieces and assembled at the place. Also, the association started to open and arrange the Cararii drumuluisi Valley Podragului leading up to the lake. Because of obstacles arising in arriving at the hut, TCR’s dropped the original project and carried cottage near Virful Suru mounted a place called Cheer midwives. – The current Podragu cottage was built in the years 1948-1949 by the National Bank of Romania for its employees, being opened in 1950. 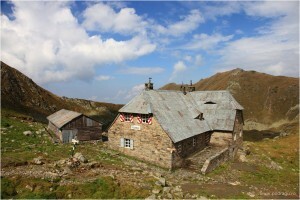 Currently it is used as tourist cottages.